On June 18th, 2011 , 10th Planet Van Nuys and Saekson Muay Thai made an impressive showing at the IFS 8 (Internationl Fight Showdown) event at the Pico Rivera Sports Arena. Going 3 for 3 at one of the first events to blend fights in Muay Thai, MMA, and Boxing, proved to be a hit. The first to set the bar was Adan “Chato” Gonzales in a 3 round war of back and forth action. Both landing amazing combinations in the first 2 rounds, it eventually came down to who had the best cardio. Each fighter pushed through ending the 3rd round in a flurry of punches with the crowd cheering them on. Going to the judges decision, “Chato” Gonzales walked away with the victory and advancing in the IFS Muay Thai tournament. Next up, is 10th Planet Van Nuys’ MMA standout “Gorgeous” Georgie Garcia. A 135 lb powerhouse with immense wrestling ability which proved to be a huge factor in the fight. Starting off the 1st round feeling each other out, exchanging a few combination’s, Georgie quickly threw a combination of punches flowing right into a take down. No later than they had hit the ground Georgie had moved into side control and took the full mount unloading a barrage of punches on his opponent. To avoid punishment his opponent turned away from Garcia exposing his back which was quickly exploited with Georgie taking his back and ending the round in dominant position. Start of the 2nd round Garcia’s opponent rushed in with punches where Garcia immediately changing levels, and taking him down into side control. Then moving into north south, Garcia’s opponent scrambles up to his knees where Georgie throws on a very tight arm in guillotine forcing his opponent to tap, earning Garcia the 2nd round submission victory. Showing us all that his jiu jitsu game is just as dangerous as his wrestling and is a definite prospect to keep an eye out for on the MMA scene. Last on the card was Niko “The Wrecking Machine” Ruiz, where in this fight, cardio was not a question for either fighter. Both exchanging beautiful combination’s and well timed counters, the crowd was going crazy. Niko coming out in the 1st round all over his opponent with his crisp boxing drawing blood to his nose in the first 30 seconds. With the pace of the fight progressing Ruiz ate an accidental low blow, pushing through it ending the round strong. Coming out the 2nd and 3rd round much the 1st, the intensity was never ending with each fighter throwing with bad intentions. Niko’s clinch game proved much more technical than his opponents landing powerful knees to the body leading straight into punches. Ruiz’s counter attacks and ability to flow between technique’s earns himself the unanimous decision victory. 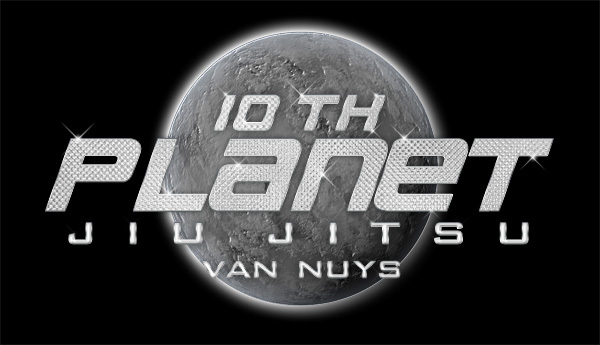 Interested in 10th Planet Jiu Jitsu? Muay Thai? MMA? or Just getting in shape? Come down to Van Nuys and give it a shot!